Hot dip galvanizing is the process of coating iron or steel articles with a layer of zinc by immersing the metal in a bath of molten zinc at a temperature of around 450°C. There are many galvanizing plants within the UK and Republic of Ireland, all of whom offer a variety of galvanizing bath dimensions and galvanizing services. The galvanizer may also be responsible for the transport and handling of the fabrication, both before and after galvanizing. Fabrication dimensions, weights and other related factors are very important in the hot dip galvanizing process and a communication chain is encouraged between the specifier, fabricator and the galvanizer to limit any problems which might arise during the process. Galvanizing plants have baths of various sizes and it is important to find company with a galvanizing bath of suitable dimensions for the article to be galvanized. Welded or bolted joints on larger fabrications can then be incorporated to take account of the dimensions of the bath or the lifting capacity of the cranes. Currently the longest galvanizing bath in the United Kingdom and Republic of Ireland is approximately 21 metres long, the widest bath is 2.1 metres and the deepest bath is 3.95 metres, although articles for dipping need to be less than the bath dimension to allow for clearance. Work that can be processed varies from small components which may be dipped by hand to large fabrications weighing over 10 tonnes. 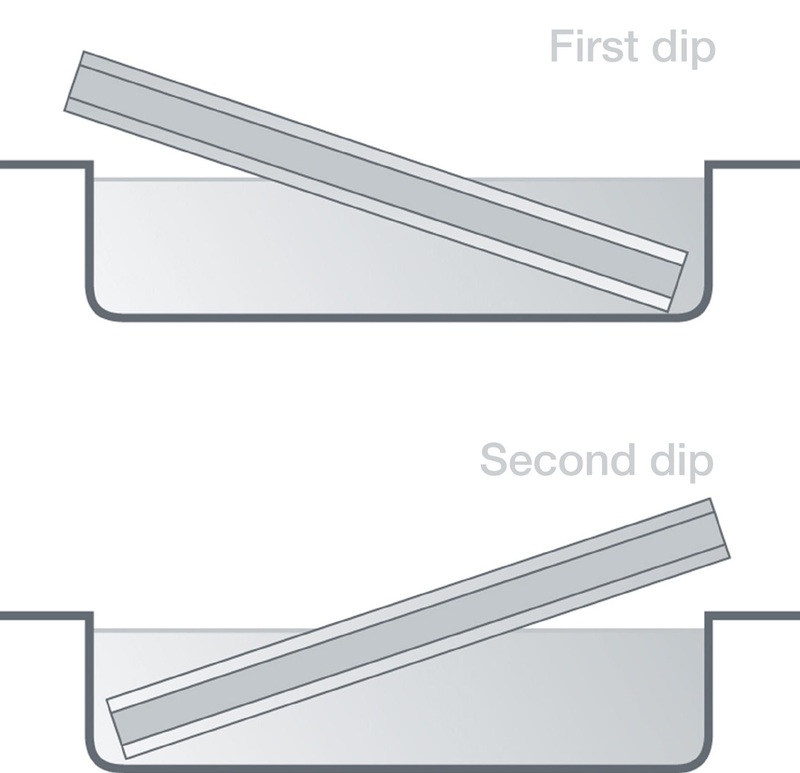 Larger fabrications which cannot be fully immersed in a single dip may be turned, rejigged and then dipped again to provide complete coverage, the process being known as double dipping. Double dipping steel fabrications however, can cause irregular heating of the fabrication in the galvanizing bath which can contribute towards potential distortion. Differences in temperature are unavoidable when dipping only part of the fabrication, as part is immersed in the molten zinc at 450°C whilst the remainder remains at ambient temperature. 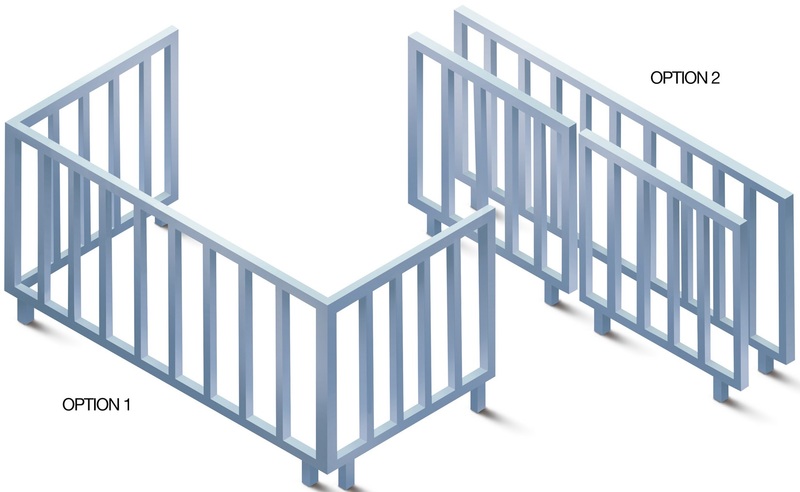 This may result in a variation in the expansion of the upper and lower side of the fabrication. The area of overlap which cannot be avoided when dipping large structures into the galvanizing bath more than once is sometimes noticeable by having a thicker coating and the coating having a variable appearance eitherside of it. During withdrawal from the galvanizing bath the components should be suspended in a way that allows the liquid zinc to drain of readily and the suspension points and any arrangement for ingress of zinc and venting should take this into account. The correct positioning of suspension points and vent holes will prevent excess zinc from being drawn out of the bath (Image 1). 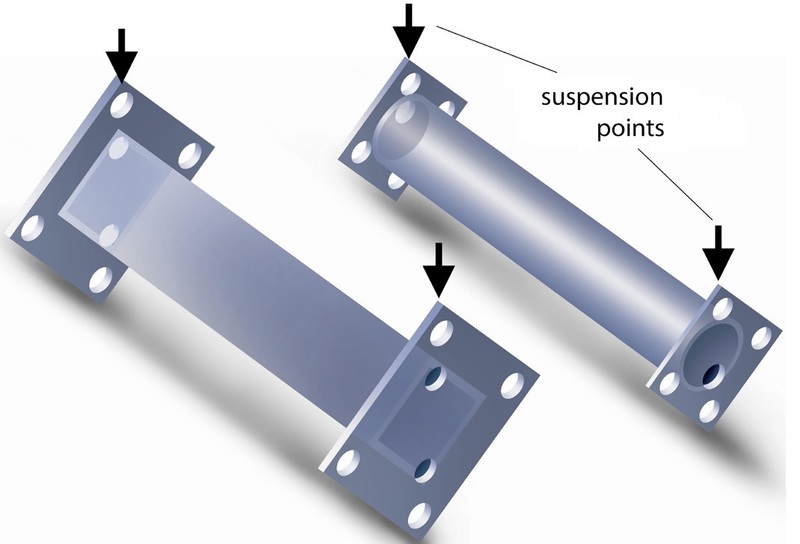 With large or heavy fabrications the position of the suspension points must be agreed so that damage is not caused and their load varying capacity may be calculated. In general, the thickness of the coating achieved on steel will follow a parabolic curve with respect to time when galvanized at the conventional temperature of 450°C. However, more reactive steels will follow a steeper curve approaching linear relationship thereby developing much thicker coatings upon dipping. Good design of the end product is a vital part of the galvanizing process and so advice should be sought from Galvanizers Association at the specification stage (image below).